The Parliamentary Front against Hunger (PFH) in Haiti, together with the Food and Agriculture Organization of the United Nations (FAO), organized a workshop in Port-au-Prince on 10 October to report on departmental consultations regarding the draft law on school feeding with the aim of finalizing the text. The workshop marks an important step in the process of establishing legal instruments allowing Haiti to effectively combat hunger and malnutrition in children, especially schoolchildren. “I hope that this workshop will provide the chance to collect key information to develop the draft law in order to help our schoolchildren”, said the Minister for Agriculture, Natural Resources and Rural Development, Jobert C. Angrand, in his speech at the meeting. “We want the law to be inclusive and representative. These consultations were necessary to ensure the inclusion of social and political groups that address school feeding”, stressed the President of the PFH in Haiti, Tertius Tanis. 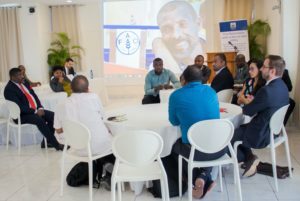 “The active support of various sectors in parliamentary efforts is a measure of the success of this admirable project, which addresses a social justice need”, added the FAO Deputy Country Representative in Haiti, Walter de Oliveira. Attendees, including the National School Meals Programme, UNICEF and WFP, shared their observations and views on the amendments resulting from departmental consultations on the 40 articles of the draft law. Some of the amendments were adopted unanimously at the workshop, such as changing the name from “draft law on school meals” to “draft law on school feeding and nutrition”. Preference for local products in school feeding was also welcomed as a way to promote agricultural development in Haiti. Participants expressed concern, however, that the law did not include private schools. “All school establishments should be covered by this law”, reaffirmed the Secretary of the FPH in Haiti, Myriam Amilcar. Some participants also proposed giving teachers access to school meals as well as children, and others mentioned the role of nutritional education in combatting poor nutrition. 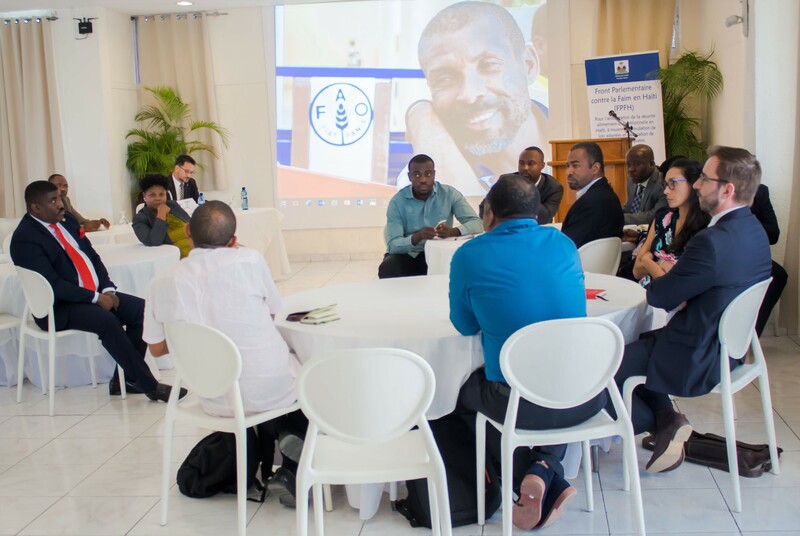 FPH parliamentarians in Haiti held consultations in the Sud-Est, Nord, Nord-Est, Artibonite and Centre departments, with the FAO in Haiti providing technical support. They spoke to departmental and municipal authorities and civil society organizations and gathered their comments, remarks and suggestions to improve the draft law. The revised version based on these comments, remarks and suggestions will be presented to the general public during another workshop.